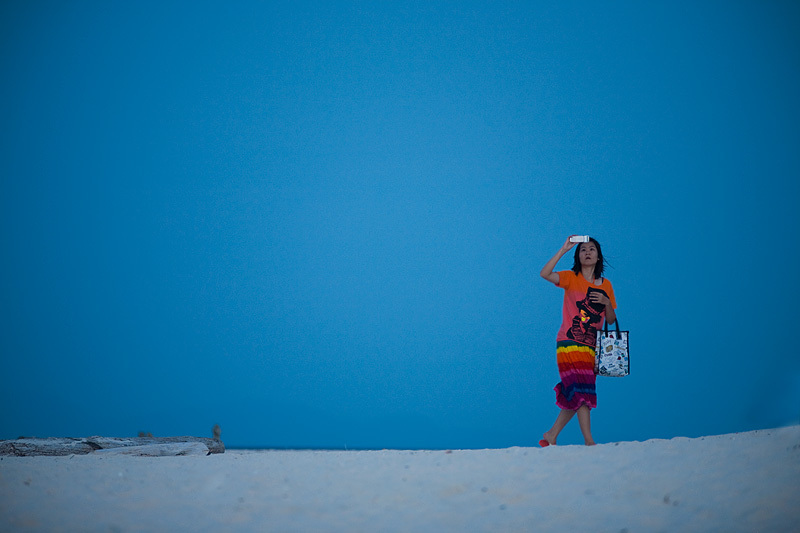 A Thai woman walks sideways while hastily snapping a camera-phone photo. I really liked the moment in this photo. The sunset completed so the woman's companions began to mozy away. As soon as she realized she was being abandoned, she continued to hastily capture photos even as she was trying to rejoin her friends. Every country I finish, I generally have a leftover set of photos that don't fit in any logical theme. I know I'm stretching it a bit here, connecting images simply by having a blue sky but I really wanted to post these photos that belonged nowhere else. My collection of images is growing at an unpublishable rate so one day, I'll need to have a full overflow area for these types of images. 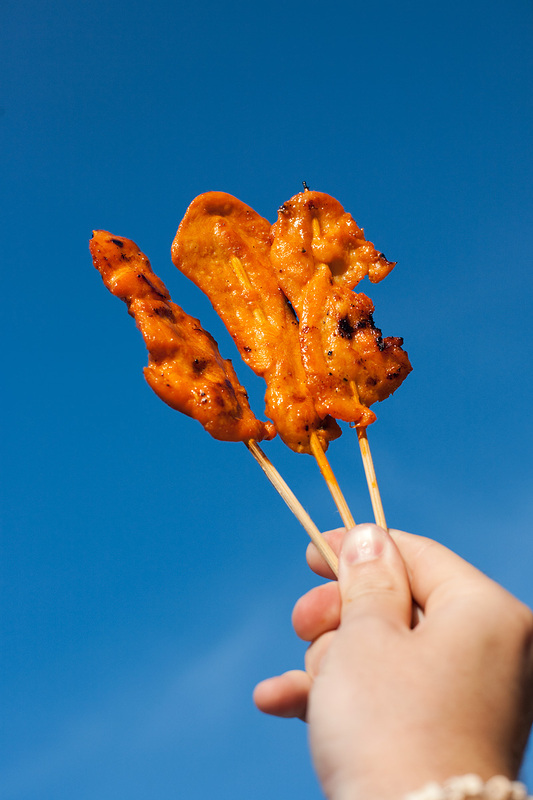 Chicken on a stick held against a blue sky. My life-giving meal on Ko Lipe. At night, I rarely eat anything else. Non-islanders generally stick to cheap and plentiful seafood. Sticky rice and 6 pieces of chicken make the perfect combination to allow me to drift into a relaxing food coma every night.